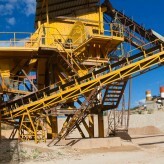 Brooks International’s experience in mining includes a host of engagements across 10 countries and on four continents – with a variety of underground and open-pit operations extracting gold, diamonds, coal, lead, copper, zinc, bauxite, bitumen, phosphate, lime and aggregates. Across this landscape, our end objective has been to increase profitability and optimize the value of the mines and processing operations; enhancing safety, yield efficiency and community standing along the way. In practice, meeting these objectives requires addressing customer and community relations, customer service, maintenance, contractor management, energy consumption reduction, organizational design, operations productivity, working capital management, government regulations and the supply chain. 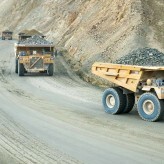 Our client footprint includes leading mining companies, support contractors and their suppliers.